Delicious meals with unmistakable fresh taste of the sea requires detailed knowledge of the bountiful sea. Our suppliers with its facilities, located on the shores of the frigid northern waters, have great experience in fishing and finishing. They have a long tradition of bringing out the finest flavor and quality from salt water harvesting. The greatest source of inspiration is the customers who have different needs and wants, regardless of where they may be. 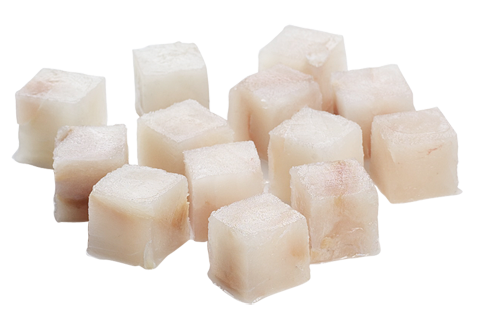 Our Saithe Cubes-fillets are ideal for fish soup or as a topping on a pasta dish with shrimp sauce.